Lee Griffiths – Trainee Sales Manager with Shakespeare Foundry Ltd wins ”Apprentice of the Year – Mechanical Engineering’. 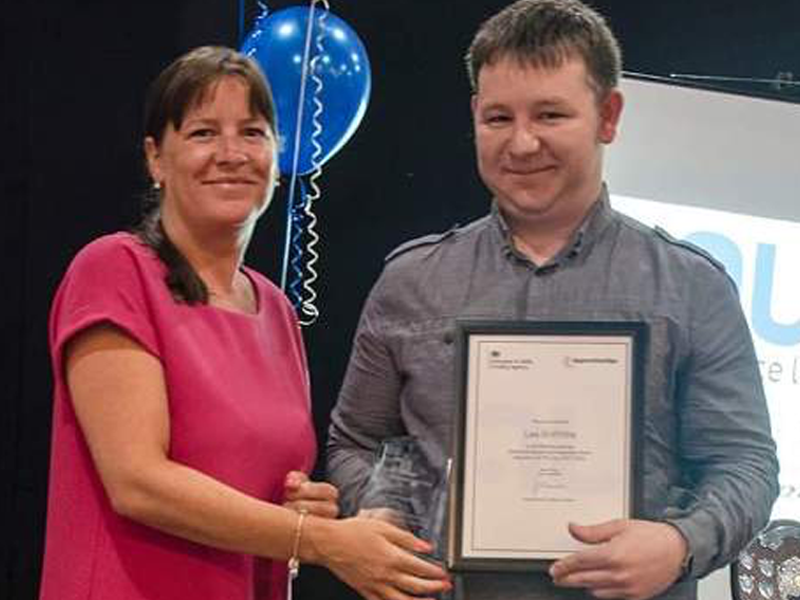 At a prestigious awards ceremony held at Horwich RMI on Thursday 21st June, Lee was chosen ahead of dozens of apprentices in the area, and presented with a framed certificate and beautifully etched and crafted glass trophy. Lee started his foundry working life as an apprentice moulder at PMT Bolton. Following the closure of the foundry, Lee transferred to Shakespeare Foundry to continue his apprenticeship. 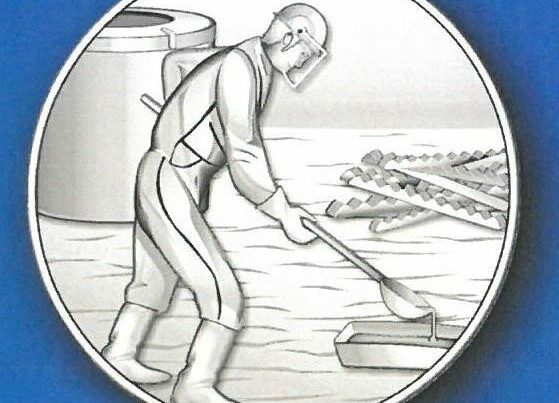 It was during his first year with Shakespeare that Lee was identified for fast track development, ‘ Lee had shown a high level of interest in the foundry, and his own development, so we decided to allow him to continue his apprenticeship, but promote him into the sales department’, said Neil Walton Shakespeare Foundry MD. ‘ it is testament to Lee’s determination, that he has taken on his new sales role, and continued to achieve the highest grades throughout his NVQ course’. Lee has continued to show excellent commitment and effort, and this has contributed to him being rewarded with this award. Lee has completed Level 2 Mechanical Engineering NVQ, through Alliance Learning, attaining Distinction grade. Lee is a regular at the Lancashire Branch ICME lectures, and is part way through his final level 3 grade, currently maintaining Distinction level. The Lancashire Branch ICME members and Shakespeare Foundry wish to congratulate Lee on his outstanding achievement.